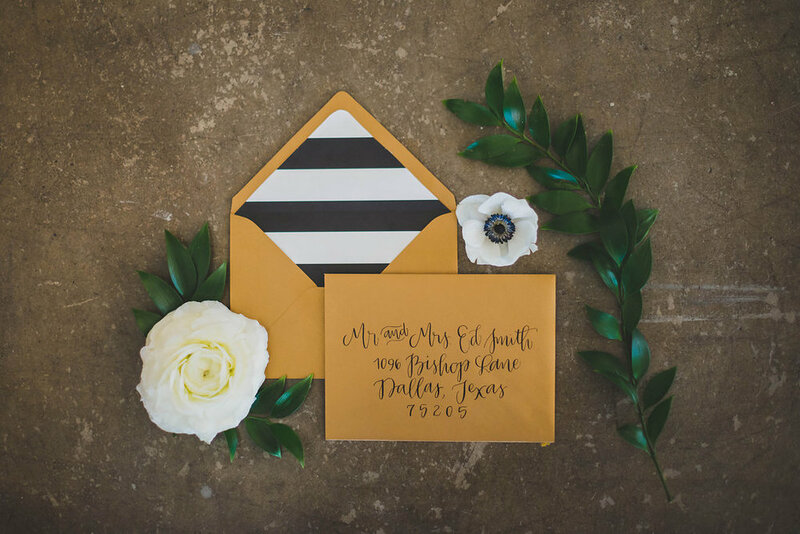 Ellie and Ace is a calligraphy studio that specializes in providing gorgeous lettering for just about any idea you can dream up. We're obsessed with helping clients achieve an impeccable presentation through lettering on traditional and non-traditional surfaces for everyday and once-in-a-lifetime occasions. Ellie and Ace calls Dallas, Texas home but loves good ol' fashion snail mail, and proudly serves clients across the U.S. In other words, we'll ship your stuff.